Northern train company: Is it time to give someone else a go? Northern train company - the gift that keeps on giving. The embattled rail operator sparked yet more ridicule when it cancelled Blackpool-bound trains during last Sunday’s air show – an event it was sponsoring. It sparked incredulity from rail users and our readers who were left astounded by Northern’s latest PR disaster. 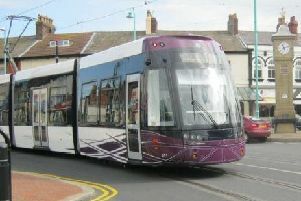 Train services from Colne to Blackpool South - via Kirkham, Lytham, St Annes and Squires Gate – were halved as hundreds travelled to the resort. The hourly service into Blackpool South from Colne were operating every two hours instead of every hour. Northern apologised, blaming engineering work delays which disrupted crew rescheduling. A packed promenade on the Sunday of the Blackpool Air Show. They sponsor the air show, then cancel the trains to get people there. Why is it that I feel Northen Fail #Arriva are hoping for government measures to be brought in? By continuing to fail so magnificently, the government may have no choice than to implement (this has happened to other railways) measures that would see Arriva’ initial financial investment protected (they won’t have broken their contract), but then the government take over the day to day running of the service? I was lucky to get to Blackpool by Northern trains, but coming home they had cancelled the 16.41 train and then when the next available train came at 17.34 they then had no driver. Just arrived from Euston & wanting to travel to Poulton. 2304 cancelled. 2317 cancelled. 2352 cancelled. It’s absolutely ridiculous. The rail network is so unreliable now, that using public transport is no longer an option. Northern should lose its licence, the directors and senior managers should all be fired, and get people in that can actually do the job. They got rid of lots of experienced people years ago, one thing you can’t bring in is experience - you reap what you sow. How do these clowns still have the licence? As someone who has previously relied on rail to get places I’m so glad I have passed my driving test so I don’t need to. It was no different back in the 60s as it is today, go slows, strikes, overcrowding, standing most of time, some disgusting smells. Our infrastructure has never kept up with demand, we’re an overcrowded island. The current shambles creates a huge bureaucracy, profiteering and appalling trains with too few carriages. The demand is there, the need to get people out of their cars is there, it just needs the will. Don’t worry folks! The man who can- Paul Maynard -will be “monitoring” the situation. They cancelled our train to the airport two weeks ago. Left us stranded with flights to catch. Rang them for help and even their own customer services hadn’t got a clue.